Just got back from the pro shop with my new PSE Brute . This thing is sweet . 32 A to A, 66 lbs, 80% let off at 28 inch draw and shootin 5575 gold tips at 271 fps . Not to bad at all for a 8 inch brace height and a fairly short draw length. It shoots very smooth and quiet. I'm very pleased with it. Congrats on a new PSE. Pete's doin some amazing things with bows these days, eventually he'll develop one even I can shoot! Wow Joe....that is one scary but awesome looking piece of kit. Looks like you are gonna have a good time come the hunt mate. Whats one of those run price wise? If you dont mind me asking. I been wanting a new "twang" for some time. Now you have to get blood on it Joe. Nice looking bow,should do the trick in another month. 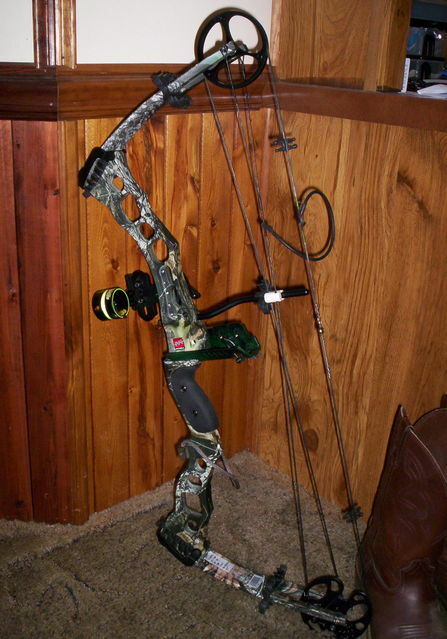 I always thought PSE made a great bow at real good prices. Thanks Joe, I'll check it out!